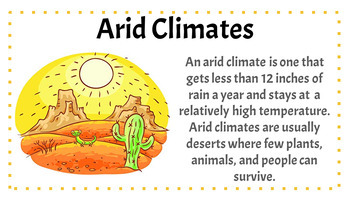 Climates Around the World - PowerPoint and Printable! Low Prep. Buy with confidence! 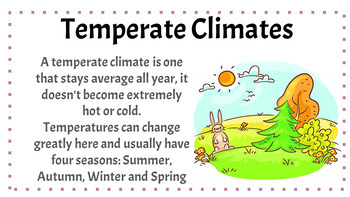 See the above previews and know EXACTLY what you are getting. 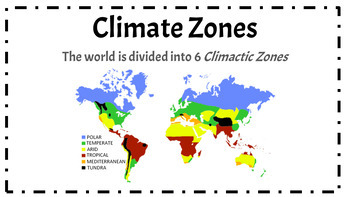 This editable PowerPoint presentation and printable PDF are the perfect resource to introduce the concepts of climate zones and their basic characteristics. 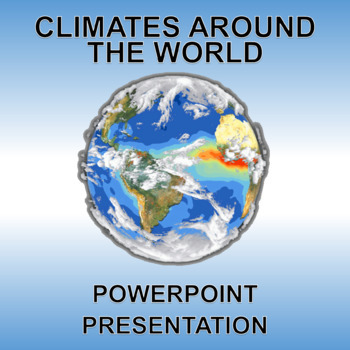 Includes 8 slides: title page and introduction to climates, arid, tropical, tundra, polar, temperate, Mediterranean and climate zones.